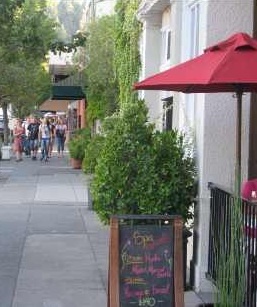 Relax in Calistoga California, home to many hot springs, resorts and wineries in Napa Valley, CA. Try a mud bath - Calistoga style, in one of the many Calistoga resorts. This is my favorite vacation destination in northern California. The charming town of Calistoga, CA is located at the northern end of Napa Valley, in the heart of wine country. Main street runs from highway 29 to the Silverado Trail, and offers many resorts, spas, shops and restaurants for your relaxing vacation. The area is surrounded by mountains on both sides, and a valley filled with wineries and vineyards. Because it is located at the northern end of Napa Valley, the wineries are less crowded and the crowds more relaxed. And speaking of relaxed - you must try a Calistoga spa treatment while you are here. There are many Calistoga resorts and hotels in Calistoga CA. They range from moderate to expensive. 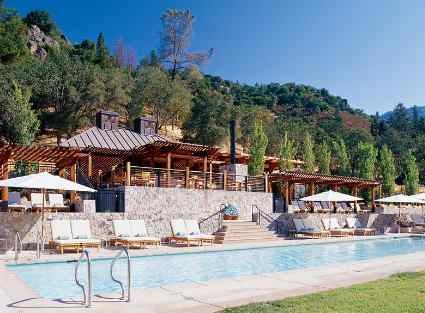 Most of these resorts have a variety of mineral pools and hot springs that are free to guests at the hotels in Calistoga CA. They range in temperature from a comfortable swimming temperature, to "hot tub" temperature. Many of the Calistoga resorsts also offer complete spa treatments. These include massages, facials, body wraps, mineral baths, aroma therapy, and the famous Calistoga mud baths. Old Faithful is the Calistoga Geyser which lets off steam every 30 minutes. If you've never seen a geyser, it is pretty interesting to see, although I personally prefer to relax in one of the mineral baths at a local resort. 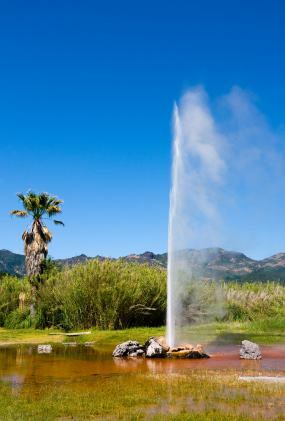 Old Faithful Calistoga Geyser is open to visitors 7 dyas a week, from 9 AM - 6 PM (5 PM in winter). Admission is $20 for adults and $3 for childrern. Directions: From Napa Valley, take 29 north past the turn off to Calistoga. Continue on Foothill Blvd. for about 1 mile, then turn right on Tubbs Lane. There are many fine dining restaurants in Calistoga. If you take a stroll along main street, you can check out the menus which are posted in the windows. 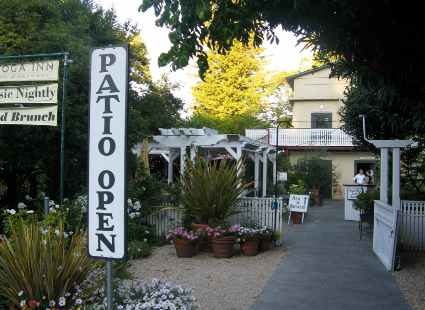 I think one of the best Calistoga restaurants in the Calistoga Inn Restaurant and Brewery. They have an outdoor dining patio, with tables under the shady trees. Calistoga is located at the northern end of Napa Valley, approximately 75 miles north of San Francisco. I like the drive through Napa Valley up highway 29, or along the Silverado Trail at the eastern side of the valley. If you are flying to the area, you can fly into Oakland airport, San Francisco airport, or Sacramento airport then drive approximately 2 hours up to Calistoga. The trip makes a nice weekend getaway.